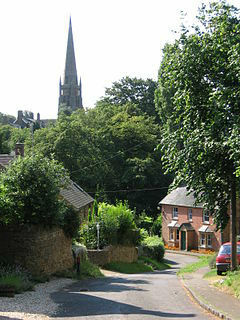 St Mary’s Church stands on the hill dominating the village and has stood there for a thousand years. The 198 foot spire points up to a vision above everyday materialism and can be seen from miles around drawing people homewards, an encouragement in the past to travellers making their way across a dangerous countryside. The first written evidence of this church is in a charter whereby William 1 granted it and the Rectory Estate to Westminster Abbey in 1067. In the 12th century King Stephen built a Chantry Chapel here. He gave two fields from his Royal Manor to pay a priest to say daily masses for the repose of the soul of his mother Adela, the daughter of King William 1. A large proportion of the of the building as seen today is from the 14th century, though there are some notable fragments remaining of Norman architecture. The Milcombe Chapel was built during the 14th century, the stonework of which is a fine example of a renowned Banbury based group of stonemasons. In the late 1870's there was a significant renovation overseen by the Victorian architect G.E.Street, who also built the Royal Courts of Justice in London. 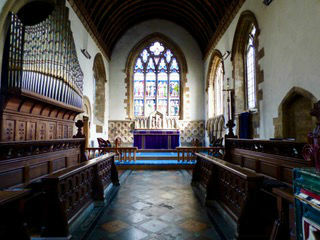 Most of the Victorian refurbishment is visible, including the three great Morris and Burne-Jones stained glass windows. 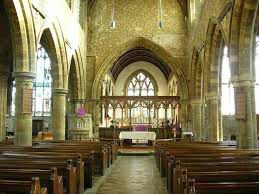 Bloxham also possesses one of the most well preserved Street chancels in existence, with choir stalls, flooring, reredos and other elements designed specifically for St Mary's. During the 20th century, further alterations were made to the building, when the north aisle became dedicated as the War Memorial Chapel. The high altar became used less frequently with the addition of a nave altar. 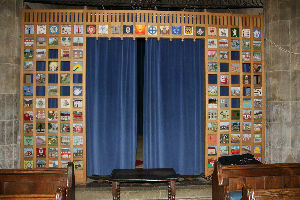 The Milcombe Chapel was screened off by a local craftsman who was then commissioned to create the Millenium Screen at the west end of the central aisle. St Mary’s is a magnificent Grade 1 listed Medieval church and has been described by Sir Nicholaus Pevsner as “one of the grandest in the country.” Whilst the building is historic, we are developing this beautiful space to better serve the community throughout the whole week. It provides a wonderful space for community events, concerts and theatrical productions. Come and experience it for yourself! A full Guide and History of the Church is available. The Friends of St Mary's page gives details of how they support the work of conservation and development of the building.